Kelley's Dog Blog: We Passed! 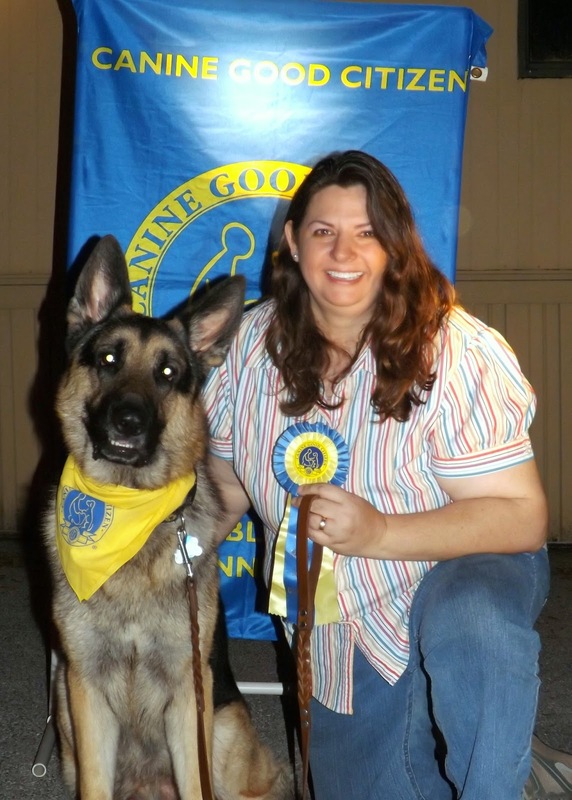 Guess who is an AKC Canine Good Citizen? JEDI! 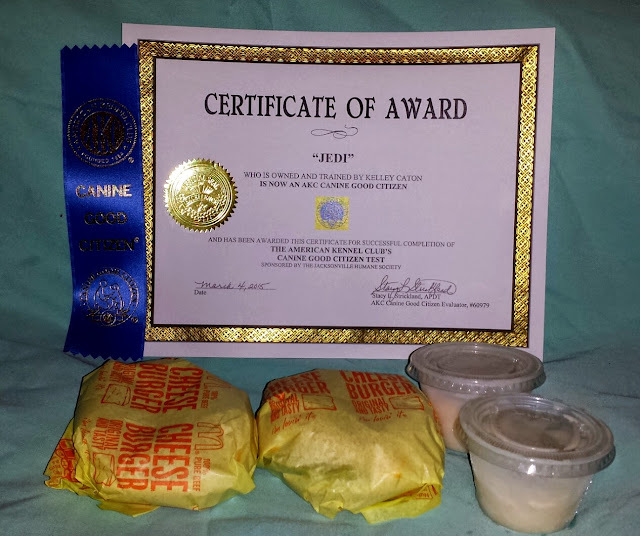 We celebrated with cheeseburgers and doggie ice cream. Roxy didn't know why we were celebrating, but enjoyed the food and merriment nonetheless. CGC is now a title -- Jedi's first! -- so I'm send the paperwork off first thing today. THEN we're going to start practicing stacking and pacing in earnest. We're going back into the ring in two weeks. TWO WEEKS! I sent the entry on Monday. Jedi's a busy boy.